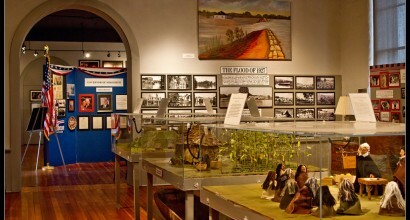 The Sam Olden Historical Museum features exhibits from Civil War days, to the great Yazoo City fire of 1904, as well as those depicting World War I, the history of Main Street School, now the Triangle Cultural Center, the 1927 flood, political history, items from the daily lives of Yazoo’s early citizens and the contributions of Yazoo County’s many famous sons and daughters. The Sam Olden Historical Museum is open weekdays, 9:00 a.m. – 5:00 p.m. and at other times by appointment. 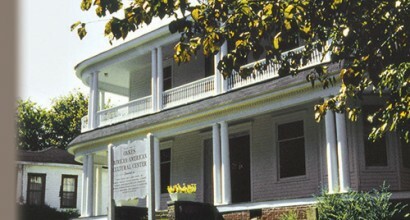 The Oakes House was home to members of the Oakes family for almost 125 years. Today it houses the Oakes African-American Cultural Center, where visitors can take a glimpse into the lives and heritage of this outstanding family. It highlights the numerous contributions of Yazoo County’s African-American citizens, from artists and craftsmen to musicians, educators and statesmen. The Oakes African-American Cultural center is open weekdays, 9:00 a.m.-12:00 noon and 1:00p.m.-3:00p.m. It is open at other times on weekends by appointment.